As a 501(c)(3) non-profit organization, our goal is to provide a comprehensive approach to ensuring homelessness is rare, brief, and non-recurring in the Tallahassee area. We execute this mission through a variety of projects – each with their own intention and purpose. The Kearney Center provides emergency and immediate services to those experiencing homelessness. From free shelter to an onsite clinic, this state-of-the-art facility is the first step in helping stabilize someone who is experiencing homelessness. Support services such as GED classes, prayer groups, and workforce training are also available at this facility via partnering agencies. The Dwellings is the nation’s first tiny home community working to help end homelessness. Constructed to accommodate low-to-moderate-income individuals, this community provides impeccable and beautifully crafted tiny homes with amenities including a garden, dining hall and walking trails to assist residents through their journey of independence while capitalizing on the natural beauty of the grounds. Through CESC Health Services, we are able to provide a holistic approach to healthcare for individuals in our community who have always been underserved and misunderstood. To set clients up for success, CESC Health Services provides residents of The Dwellings, Westgate, and The Kearney Center long-term, continuous medical and dental care.  Westgate is a low-cost, low-barrier housing solution for individuals who have previously experienced or are on-the-verge of experiencing homelessness. This program offers a variety of housing options and scalable payments to fit an individual’s specific need and circumstance. Looking to get more involved in our mission? Reach out to us at info@CESCtlh.org to learn more. Donate to Support Our Mission Today!